My youngest son Scott has been fascinated with all things Titanic for several years now. He has read many books about the most well-known ship in history and knows countless facts and details about the fateful night in 1912 that she hit an iceburg and sank. One year for his birthday we visited the Titanic museum and spent hours looking at actual pictures and artifacts from the ship. There is just something about the Titanic that most of us find captivating. Scott recently shared with me some incredible circumstances and procedural failures that occured leading up to one of the greatest maritime disasters in history. I was astonished at the number of missed warning signs that, had they been heeded, could have prevented such profound calamity. The ship received a least 6 ice warnings the day of its sinking but most were ignored. 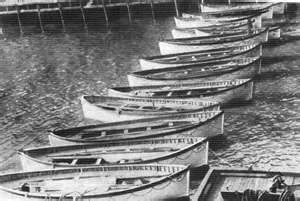 One of the warnings came late in the evening and detailed a large number of icebergs in the Titanic’s path. But because the wireless system had been down the day before, the crewman on duty had a stack of priority passenger messages to send out. He wrote down the warning, set it aside and it was never delivered to the bridge. The crew on duty in the crow’s nest, whos specific assignment was to look out for ice, were doing so without the use of binoculars because the prior shift had misplaced them. When the crew did spot a huge iceberg directly in front of the ship, the first officer misjudged the distance to impact and hesitated to give a command. After a 30-second delay, he made the decision to slow down and attempt to turn away from the iceberg. 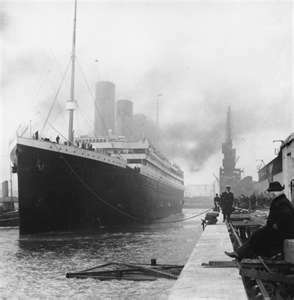 If the engines had been left at full speed and Titanic turned immediately after the iceberg was spotted, the ship would have likely missed the iceberg, with a fair distance to spare. 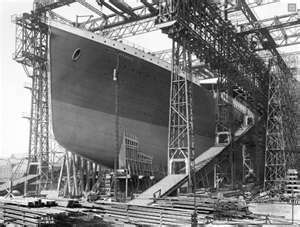 Finally, the ship’s builders advised White Star Lines that the ship could hold many more life boats than the number that was legally required. But White Star chose not to add any additional lifeboats even though they knew they didn’t have nearly enough for all the passengers onboard because ironically they felt it would be too expensive for the most luxurious and costly ship ever built. Because of this decision and lack of preparedness among the crew, many lives were lost at sea that could have been saved. So many times our lives are like the Titanic disaster – filled with warnings of imminent danger that we both ignore and are ill-prepared to handle. When we are living in a cycle of destructive behavior it seems like everyone but us can see that we are forging full steam ahead on a collision course full of damage and regret. But we seem blinded to the glaring obstructions right in front of us, many times until its too late to avoid them. Why is that? Why do we choose to ignore the obvious when we know the actions and decisions we are making are hurtling us toward personal and relational destruction? I’ve been in that very place in my life and have wondered many times why I continued on a course that I knew was going to lead me down the wrong path. I had responded to the gospel and believed Jesus had died for my sins when I was 13 years old. I asked for His forgiveness and according to God’s word, I was born again. Like the Titanic I was a magnificant new creation – unsinkable and a beauty to behold. But without the proper preparation and the right people in place to keep me afloat I quickly fell for the doubts of the naysayers who said that I really hadn’t changed. Without people in my life to disciple me and teach me how to walk out my new faith long after the emotional experience of responding to the gospel had passed, I found myself ill-equipped to battle the deceptive ways of the enemy. I thought that if I made a mistake, I didn’t deserve to be blessed, to be happy and to live a life worthy of being called a Christian. The first mistake I made led to the next and I quickly found myself believing the lie that God no longer loved me because I didn’t measure up. I had failed Him and I deserved to hit that iceberg head on and the resulting damage was inevitable for my life. 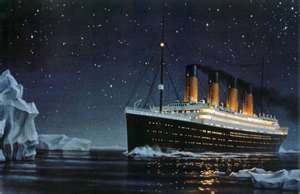 But I learned in time that unlike the Titanic, a life in Christ is unsinkable. There may be icebergs in our lives but through repentance the resulting damage of our sin can be repaired if we will seek God’s forgiveness and turn away from our sins and back toward Him. And unlike the staff and crew of the Titanic, we must be prepared and we must be aware of the warning signs when they appear. The key to being prepared is building strong foundations in our lives based on the spiritual truths of the bible. We must have people in our lives that will speak the truth to us in love and let us know when we have veered off course. We must spend time in God’s presence through prayer and reading His word. We must get involved in small groups to build relationally with other believers who can encourage and disciple us in our walk. We must attend and serve in a local church. And we must commit to daily seek God’s will for our lives through obedience to His commands. Are there warning signs in your life that you are choosing right now to ignore because you think you deserve to crash head-on into the iceberg you’re facing? Have you failed to prepare and instead of minor damage, you may receive grave damage when you do hit an iceberg? If you are a born-again Christian, do you know that you are an unsinkable, magnificant new creation? Do you know it’s not too late to repent and turn back to God in order to get back on course? Don’t let the avoidable sink you and cause your life to end up a tragic tale of missed warnings. Let this be your warning – it’s time to start building an unsinkable life in Christ.